Highland awarded graduating seniors $1,000 scholarships to the accredited post-secondary school of their choice. 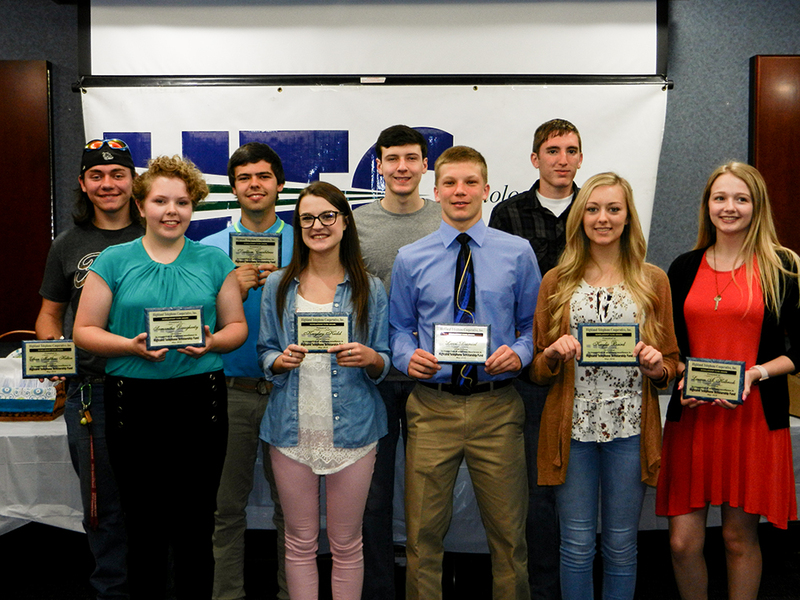 Each year, the Highland Telephone Cooperative board of directors awards $1,000 scholarships to 11 area high school seniors. The program is available to any high school senior with postsecondary education plans and who lives in Highland Telephone’s territory, including McCreary, Scott, Morgan, Campbell and Anderson counties. A student is selected from each board district. One $1,000 scholarship per board director is awarded to a high school senior in that director’s electorate. Any high school senior with postsecondary education plans may enter, as long as they have service with Highland Telephone, regardless of the school they attend. Relatives of employees and HTC directors and relatives of HCC employees and HCC directors are not eligible to enter. Any postsecondary education institution meets the requirements of the scholarship endowment. Entrants will submit a 500-word, double-spaced essay on the topic of Technology for Telecommunications. Judging will be conducted by an impartial teacher from a school outside the director’s county of residence. Judges are rotated throughout the school and between schools each year. Judges should not be acquainted with the students whose essays they judge. The schools of the judges will receive a $500 contribution to be used as the school wishes. Scholarship essays must be turned in to the Sunbright office by 5 p.m. March 15, 2019. Scholarship recipients must present proof of enrollment and paid receipts of eligible incurred fees at the postsecondary institution of their choice in order to receive the scholarship funds. For liability reasons, funds will not be paid to the institution or any person or organization other than the recipient. The money must be used within one year of the award. Recipients are awarded the scholarship with the Board of Directors present, and the manager of Highland Telephone making the presentation. HTC reserves the right to change rules as necessary. All decisions are final. DISCLAIMER: Relatives of Highland Telephone Cooperative employees and Highland Telephone Cooperative directors or relatives of Highland Communications Corporation employees and Highland Communications Corporation directors are not eligible to enter. Relatives of employees and HTC/HCC/HMC directors include spouses, brothers, sisters, parents, children, stepchildren, fathers-in-law, mothers-in-law, sons-in-law, daughters-in-law, nieces, nephews, grandparents, spouses’ grandparents, aunts or uncles.